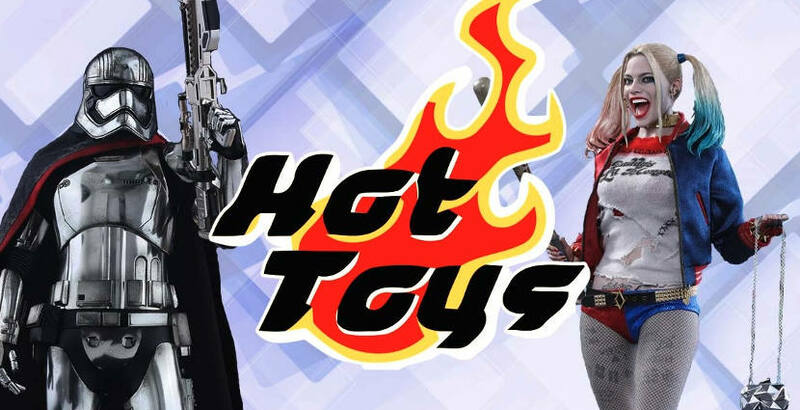 Hot Toys are some of the most popular products we sell at Moviemania. These stunning hyper-realistic models have captured the imaginations of fans across the world, making them some of the most collectible figurines in existence. But have you ever wondered how these toys are actually made? Here we look at the process that Hot Toys go through to plan, create and sell each model. Ever since the success of the iconic Star Wars figures, toys have grown to become an enormous part of the merchandising for modern films and TV shows. Many franchises creating toys and figurines of even the most obscure characters in the background of scenes to satisfy the desires of collectors. But with the highly detailed and specialised models created by Hot Toys, it’s a very different process in deciding which toy will be chosen. The company decides which characters are going to be the most popular and which appearance will be most coveted by their audience. Getting this decision right can make a huge difference to the popularity of the toys, so it is vital for Hot Toys that they take the time to make the right decision. Choosing the wrong character can be wasted hours creating likenesses. With years of experience, however, the company has learned how to spot which characters fans will be drawn to. The next, and most crucial, step in the creation of the toy is acquiring the licence to create and sell the model. Clearly without the licence, Hot Toys cannot proceed to begin crafting their figures. Parodies, derivative and other similar models can be listed as ‘fair use’ which do not require a licence, but Hot Toys create and sell only the most realistic and authentic models on the market, so it is essential for them to gain a licence if they want to recreate and sell famous characters. To do so they must contact the licence owner and gain their permission. The brand has already secured the licences for a number of major franchises including the Marvel Universe, Star Wars, Alien and more. Once the licence has been granted, work can begin. The Hot Toys brand is interested in creating stunning likenesses to the characters they are recreating. This means that the team will spend a serious amount of time collating and studying everything from stills from the movies to concept artwork and more before they get started on the production process. Attention to detail is paramount and Hot Toys take the likenesses of their models very seriously. After extensive research has been carried out, the modelling and sculpting can begin. Hot Toys’ team of exceptionally talented artists specialise in incredibly life-like faces. They even use a special form of modelling clay that only hardens once is has been cooked in an oven. This means that every detail – from miniscule facial scars to individual hair strands – stay perfectly in place. The artists make use of a range of different tools for a number of effects as the facial features and expressions are painstakingly recreated. Additionally, sculptors will constantly refer back to their research to ensure they are capturing each detail correctly. After the toys have been sculpted and cooked, the next task is to paint them. The team of artists utilise a wide variety of paintbrushes in order to get the perfect details down. Getting the painting right is the finishing touch on these stunning models and once again, life-like accuracy is vital. This can be the most delicate part of the process as the artists ensure that none of the hard-work is put to waste. Once the toys are finalised, it’s time for them to be distributed. The first batches go to the owners of the licence so that they can confirm whether they are happy for the product to be produced. The company will also usually send out figures to the actors in the roles to get their perspective. Once the licensers and the actors are happy with the product, the team will add additional aspects including accessories before the figure is taken to market. This is when the figures finally make it to stores to be sold.